I love my morning ritual. It varies from day to day. But one thing is always constant: I always have my morning morning elixir. This is how I “break-the-fast.” This is how I nourish my gut awake to allow for optimal digestion, improved immunity and increased energy. I believe food is medicine and there so much medicine in this one cup of goodness. There was a time when the 1st thing into my belly was a strong cup of coffee filled with dairy and sugar. This is not to say that I still don’t enjoy a #betterthan mocha latte once in a while, but I ALWAYS start with this drink. 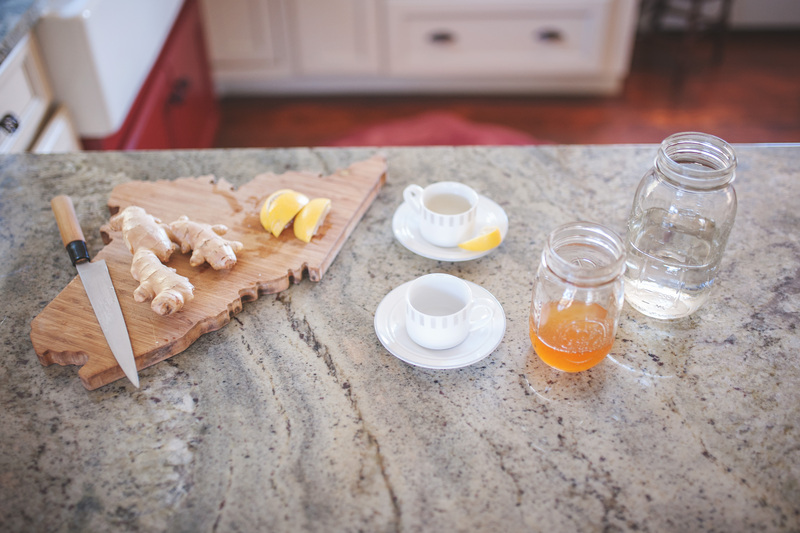 When you nourish yourself at the cellular level with alkalizing lemon, hydrating water, anti-inflammatory ginger and pro-biotic rich raw apple cider vinegar 1st, you are more likely to drink less coffee, and make better choices through out the day. You are allowing your body to create the energy you are craving to improve your mood, balance your blood sugars and set your system up for success. 90% of the serotonin you need to feel your best is created in your gut? 70-80% of your immune system lives in your gut? This drink is a powerhouse for all of it. Did I also mention….? It’s great for allergies, detoxing and even weight loss? 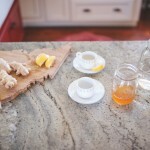 This is a power packed morning drink that will: Increase energy. Improve digestion. Support your immune system. Cleanse and detoxify. Alkalize and balance your ph levels. Relieve heart burn/acid re-flux. Balance blood sugars. Decrease inflammation and joint pain. 8 ounces Warm Water You don't want the water too hot. You don't want to kill the live cultures in the raw apple cider vinegar. You can also make this the night before and drink it at room temperature as well. 3-4 wedges Lemon I prep my lemons the night before and leave them cut up and ready to go in a bowl for the day. If you have trouble with acid reflux, start out with 1-2 wedges and work your way up. 1-2 tablespoons Raw Apple Cider Vinegar Be sure to shake the bottle to get all of good stuff that has settled to the bottom. Again, if you suffer from acid reflux, and this feels like too much, you can omit for the 1st week or so and then add in, OR build up, one drop at a time. 1/2-1 teaspoon Fresh Grated Ginger Root *Optional, but great to decrease inflammation, and improve digestion. 1/2 teaspoon Fresh Grated Turmeric Root *Optional, but also great for decreasing inflammation. 1 Green Tea Bag *Optional, it's a great caffeine source that is gentle on your system, but gives you an extra boost. Prep lemons the night before. Heat water to warm (I use the lowest setting on my tea kettle). Add ingredients to your favorite mug. Sip and enjoy during your morning quiet time. (Even if this means you get up 30 minutes before the rest of the house.) You. Are. Worth. It!